green rent seeking | Utopia – you are standing in it! This entry was posted in energy economics, environmental economics and tagged Big Solar, green rent seeking, solar energy, solar power on May 27, 2017 by Jim Rose. Had we hit peak wind turbine technician demand? Doubling from 4,400 to 9,000 does not exactly strike me as an explosion in wind technician employment. Source: Wind Turbine Technicians : Occupational Outlook Handbook: : U.S. Bureau of Labor Statistics. Yet still this occupation is expected to be the fastest-growing occupation in the USA in the next 10 years. This entry was posted in energy economics, environmental economics, global warming, labour economics, labour supply, occupational choice and tagged Big Wind, green rent seeking, renewable energy, wind power on May 9, 2016 by Jim Rose. … is whether an increase in the expected returns of investments in wind energy, following the introduction of the new policy regime based on a green certificate system, has driven economic agents, namely bureaucrats and entrepreneurs, to engage more in rent seeking activities. As they studied Italy, there is no surprise about the answer which was yes. High winds ensure high returns of the wind farm investment, but whether this translates into more bribery depends on institutional quality. There was more corruption, and so especially in high-wind provinces of Italy. 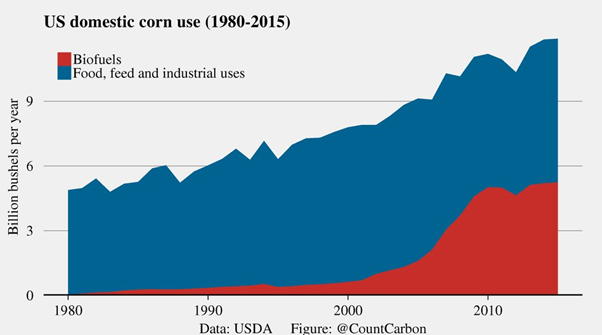 Source: Green policy and corruption | VOX, CEPR’s Policy Portal. 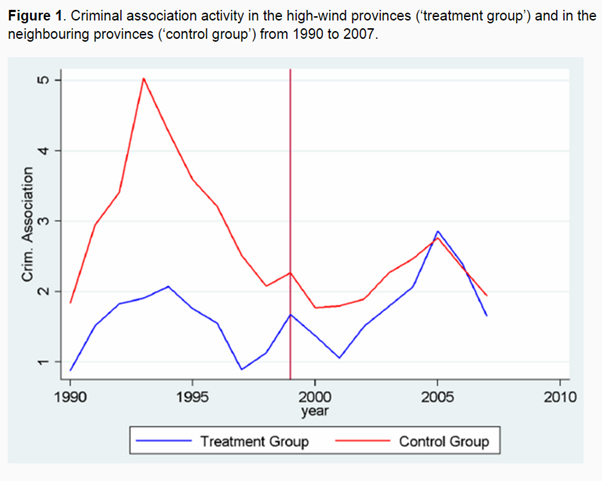 The construction of an average wind park is associated with an increase of criminal association activity of 6%. Italy will have more corruption than elsewhere in the old European Union. The wider problem is renewable energy is a celebrity technology. 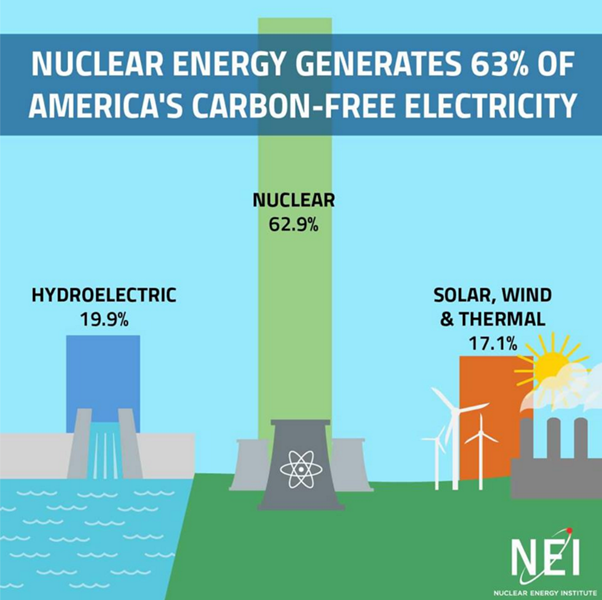 In the context of expressive politics, so many cheer for solar and wind power that standards drop in terms of who qualifies for subsidies and who should lose support when their investments do not turn out as promised. Wind power is not new, it is intermittent, is unsuitable for modern work, and is land constrained but it is still subsidised. Green rent seeking is a real risk even in countries with the best political institutions. This entry was posted in comparative institutional analysis, constitutional political economy, energy economics, environmental economics, global warming, Public Choice, rentseeking and tagged European Union, expressive voting, green rent seeking, Italy, renewable energy, solar power, wind power on April 30, 2016 by Jim Rose. 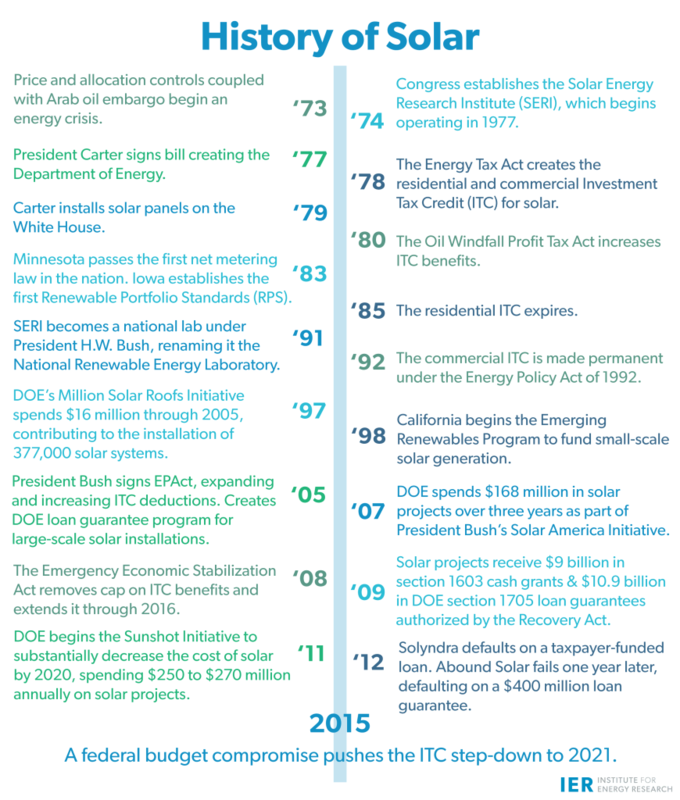 Source: History of Solar Power – IER. 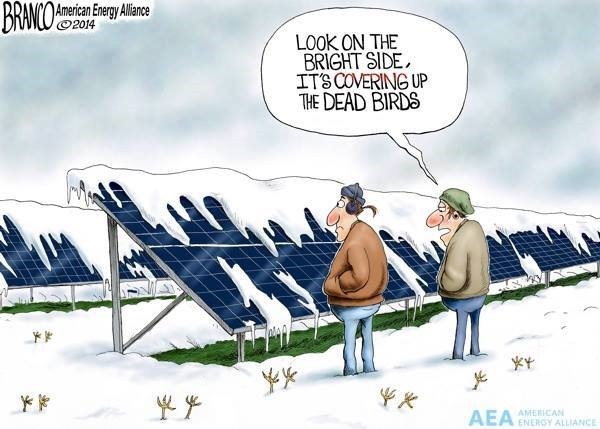 This entry was posted in economic history, energy economics, environmental economics, Public Choice, rentseeking and tagged Big Solar, green rent seeking, rational irrationality, solar energy, solar power on February 24, 2016 by Jim Rose. This entry was posted in applied welfare economics, energy economics, environmental economics, politics - New Zealand, politics - USA, Public Choice, resource economics and tagged climate alarmism, green economy, green rent seeking on February 23, 2016 by Jim Rose. @Greenpeace why are German and Danish power prices so high? This entry was posted in applied price theory, economic history, energy economics, environmental economics, global warming, Public Choice, rentseeking and tagged Big Solar, Big Wind, bootleggers and baptists, climate alarmism, Denmark, Germany, green rent seeking, power prices, solar power, wind power on December 24, 2015 by Jim Rose. This entry was posted in development economics, economics of bureaucracy, energy economics, environmental economics, global warming, growth disasters, growth miracles and tagged climate aid, climate alarmists, extreme poverty, global poverty, green rent seeking, overseas aid, overseas development assistance, World Bank on December 13, 2015 by Jim Rose. Paris was a tremendous defeat for the climate alarmists. Now that they have their treaty – a non-binding treaty – their ability to stir up political momentum to do more is undermined. If the environmental movement already has their agreement to save the world, why is anything more necessary. 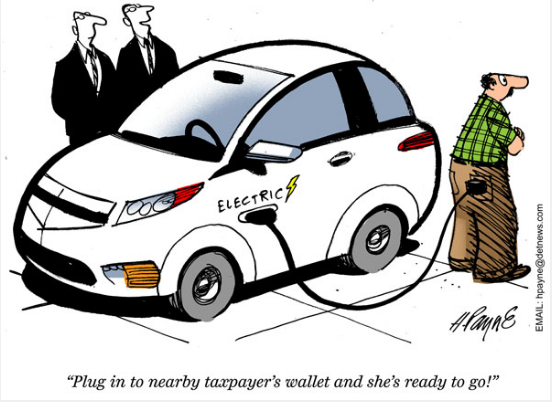 Especially anything that is costly to the hip-pocket such as a carbon tax. The Greens, rarely for them, have settled for half measures. That was unwise considering these half measures are nothing at all apart from climate aid. Few like to remember that the Republicans still control the U.S. Congress. Centre-right parties control most governments in Europe. Paris climate deal not meaningfully different from 1992 Rio accord. Bush 41 ridiculed for that deal. Obama will be praised for replicating. This entry was posted in economics of regulation, energy economics, environmental economics, global warming, politics - New Zealand and tagged climate aid, climate alarmism, green rent seeking, international climate treaties, New Zealand Greens on December 13, 2015 by Jim Rose.